Babies at risk of brain damage now have the greatest chance of living a happy and healthy life thanks to new brain monitoring equipment donated to the Flinders Medical Centre Neonatal Unit. A new ‘Brainz’ Machine has been purchased thanks to generous support from the community, which saw $55,000 raised during Flinders Foundation’s 2017 Christmas Appeal. The Flinders Medical Centre Volunteer Service made a major contribution to this target, with a generous $19,000 donation. The “Brainz” Machine is often required for babies deprived of oxygen at birth, and is vital technology used to monitor newborn seizures and brain activity so babies can be treated before long-term damage occurs. Thank you for helping to bring this vital equipment to precious babies at Flinders! If you’d like more information on other ways you can support the Flinders Medical Centre Neonatal Unit, speak with the Flinders Foundation Team on (08) 8204 5216. Below is the story of Harry Amundsen, which highlighted the need to purchase this vital equipment for at-risk babies. It was two and a half minutes before Harry Amundsen took his first breath. 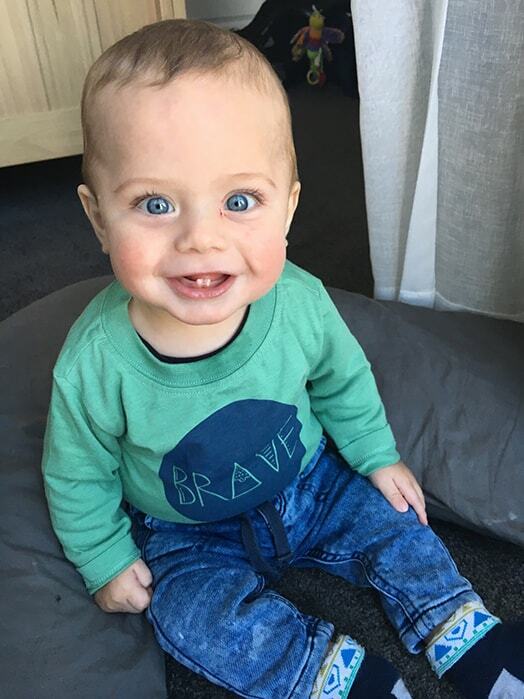 When his parents, Denelle and Chris, first set eyes on him in Flinders Medical Centre’s Neonatal Unit he lay lifeless with cords attached to nearly every part of him. They were told oxygen deprivation may have caused long-term brain damage, leaving Harry unable to walk, talk, eat or learn. "That was really hard to hear,” Denelle says. Harry is just one of a number of babies identified at risk of brain damage each year who require specialised monitoring using a “Brainz Machine” – vital technology used to monitor seizures and brain activity so babies can be treated before long-term damage occurs. Specialists report that when “Brainz” technology is used, and treatment administered, more babies go on to live happy, healthy lives.